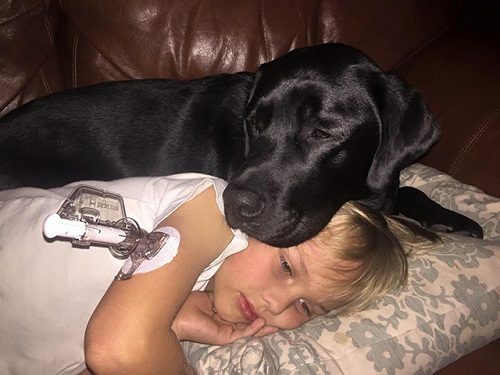 Service dogs, of course these two simple words could explain the meaning of them. We could notice that it refers to special dogs which have the ability to help and service humans. Do you want to know more information about service dogs?! Are you curious about this special kind of dogs?! Do you know why they are called service dogs?! Do you want to know how they act towards humans with disabilities?! If yes, then you have to follow these underlines to explore all the possible information about service dogs. First, we will you give you a detailed definition about Service dogs. 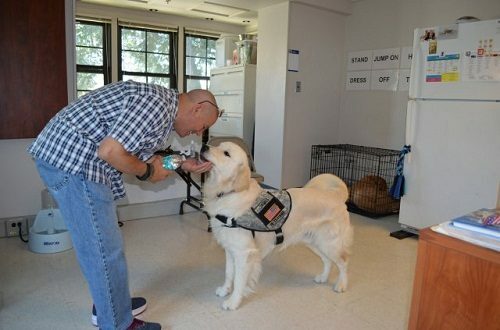 Service dogs are almost like other ordinary dogs, but they get a special training which qualify them to help the people who have disabilities. 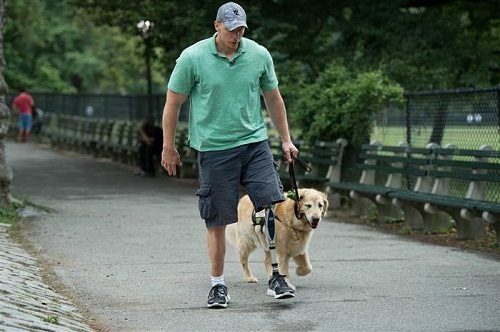 Service dogs can help blind persons, deaf people or any other humans who have many different types of disabilities. 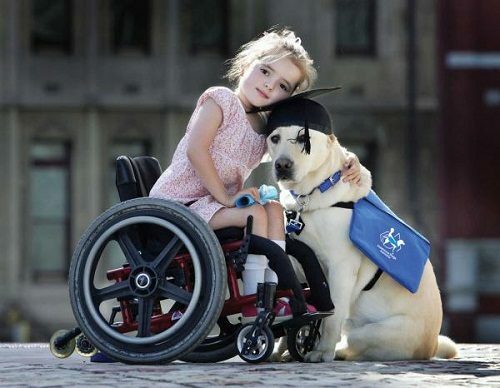 This kind of dogs if they get trained with a special training, they could help people who are suffering from different types of autism, people on wheelchairs, people who have problems in balance and others with their different disabilities. 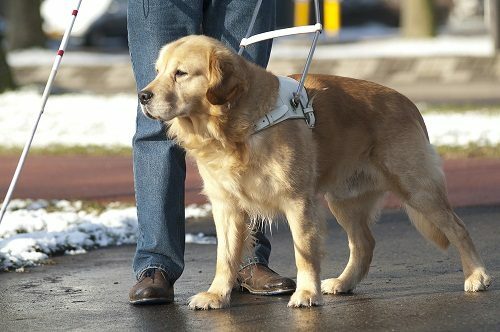 These specially trained dogs could do many tasks such as opening or closing a door, switching on or off the light, leading the blind people to the places, protecting people who are suffering from problems in balance from hurting themselves and they could do many other different tasks according to the needed by the person with a disability. Of course, the ordinary dogs could become service dogs through getting a special training; but there are two types of dogs from which you will find most service dogs, these two types are Golden retrievers and Labrador retrievers. Second, we will tell you about the different types of tasks that service dogs could provide to people who have various disabilities. 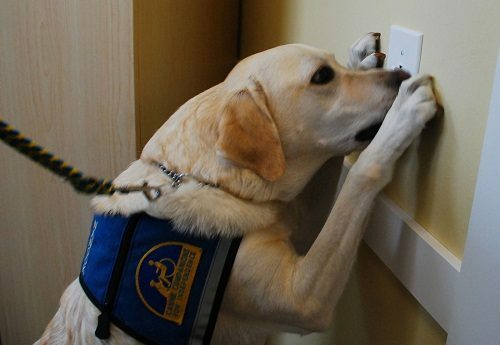 Service dogs do many different tasks as they learned through the special training. 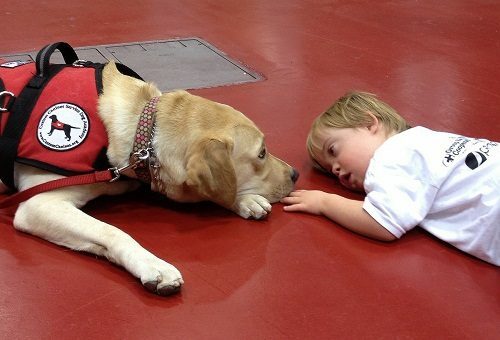 Here are a list of the most common tasks which service dogs definitely could provide. Service dogs could remind the owner to take the medication on time a day. They could bring the water in order to swallow the medication. 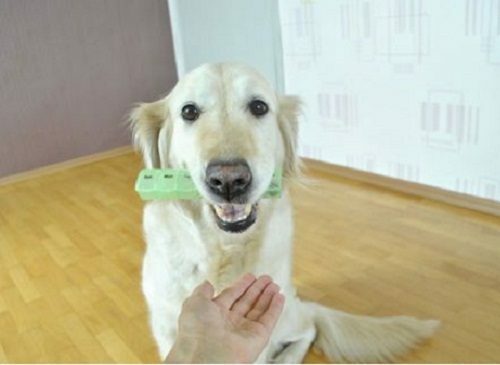 They have the ability to help their owners in keeping in good balance. 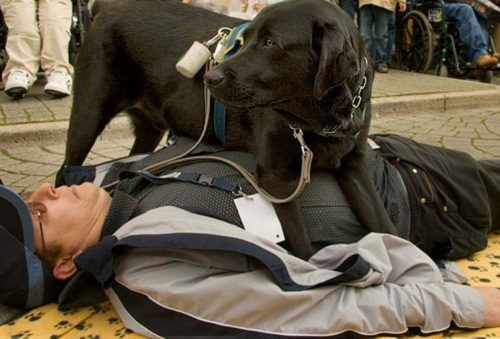 Service dogs could wake up the owner in order to go to school or work. 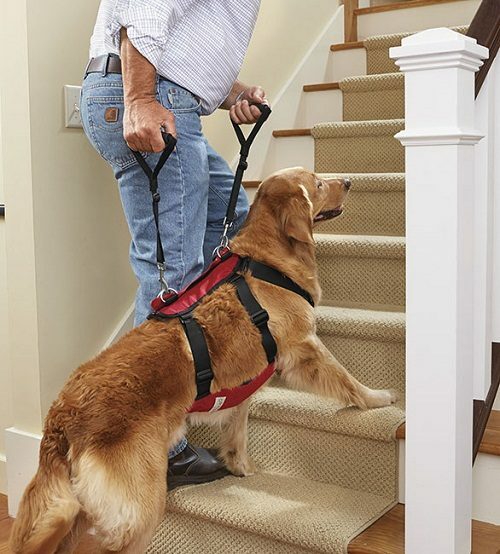 They provide the assistance to their owners to keep balance on stairs. 6.They could light up dark rooms. 7.Service dogs could keep their owners away from strangers. 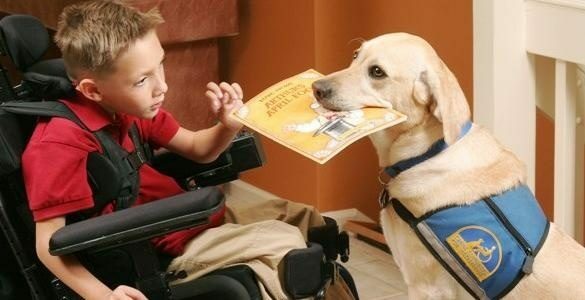 Third, already we knew a lot about service dogs and how they provide their special different tasks. We also knew to whom they are providing these tasks, but now we will give you more through showing you a list of the various disabilities that service dogs can help them. A disability could take many forms of the bodily functions as it could be digestive, neurological, circulatory or respiratory systems. Autism, Epilepsy and other psychological diseases. Cancer, Diabetes and Multiple Sclerosis. Osteoporosis and other bone and skeletal disabilities. Paralysis and other mobility disabilities. Fourth, do you have a disability or know someone who has a particular disability?! If yes, you have to take this idea into consideration and try to bring a service dog which will give you the best possible assistance according to your particular disability. If you are suffering from a disability in eating, standing, thinking, speaking, hearing, seeing, walking, sleeping or any other similar disability, you should bring a service dog and you will feel the difference. 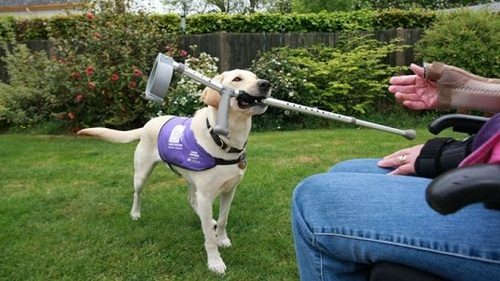 Service dog could help you in doing the tasks which you feel unable to do by yourself because of your particular disability. Fifth, do you know how people could identify the service dogs?! Of course, service dogs have different looks which distinguish them from these other ordinary dogs. You could identify service dogs through that special vest, jacket or tag which they are always wearing to let the public know that they are service dogs. By being dressed up, this makes them look special and different and that also helps their owners to feel free from giving a lot of explanations for people everywhere about their dogs’ assistance. Service dogs also could have an identification card which refers that it is a service dog.